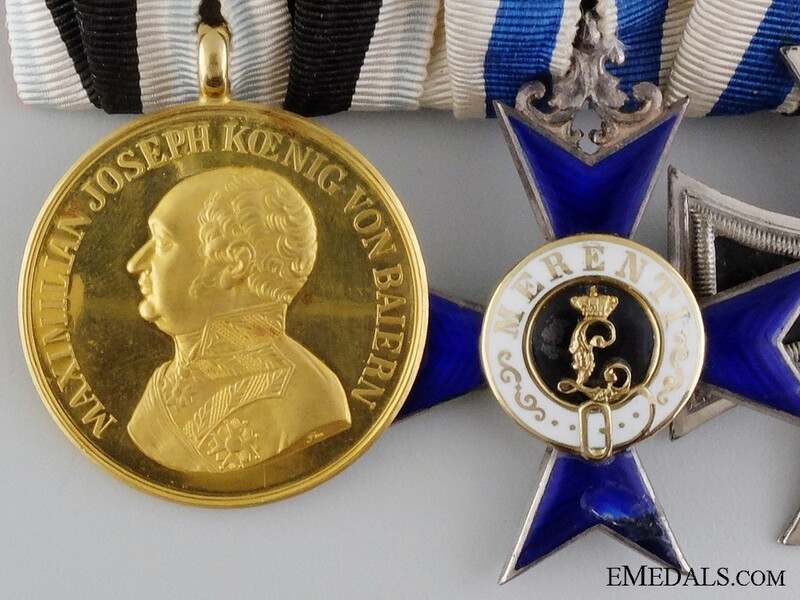 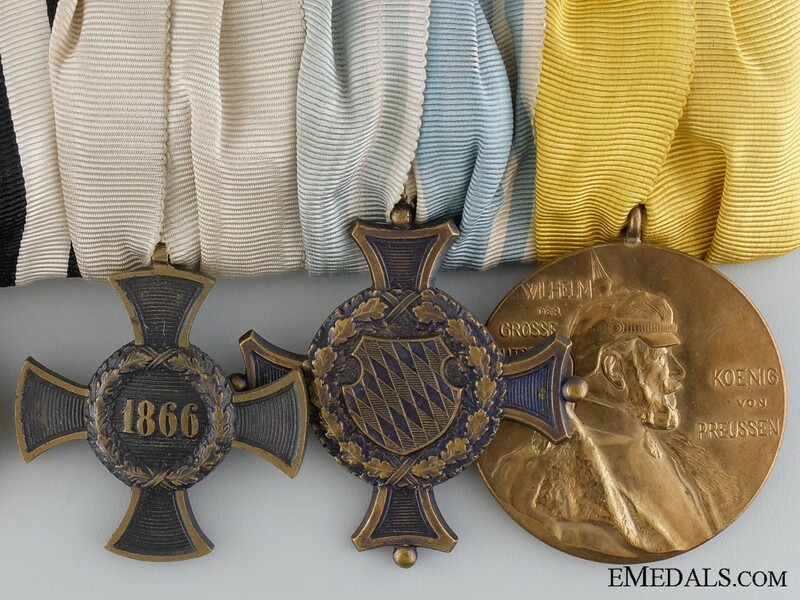 A Superb 1870-71 Bavarian Group of Seven Awards - Mounted as originally worn Bavarian style, comprising: Bavaria, Gold Bravery Medal, in Gold, under the bust initials "fm" of the Bavarian State mint, near mint condition! 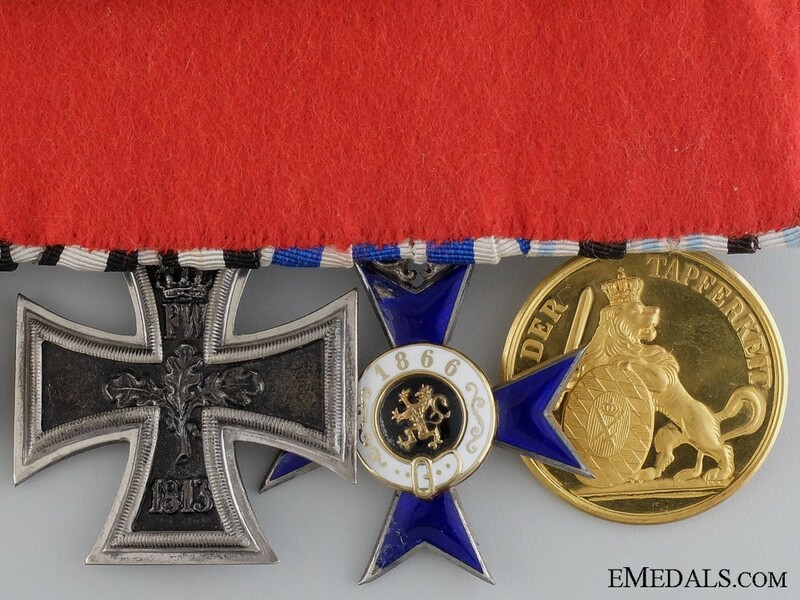 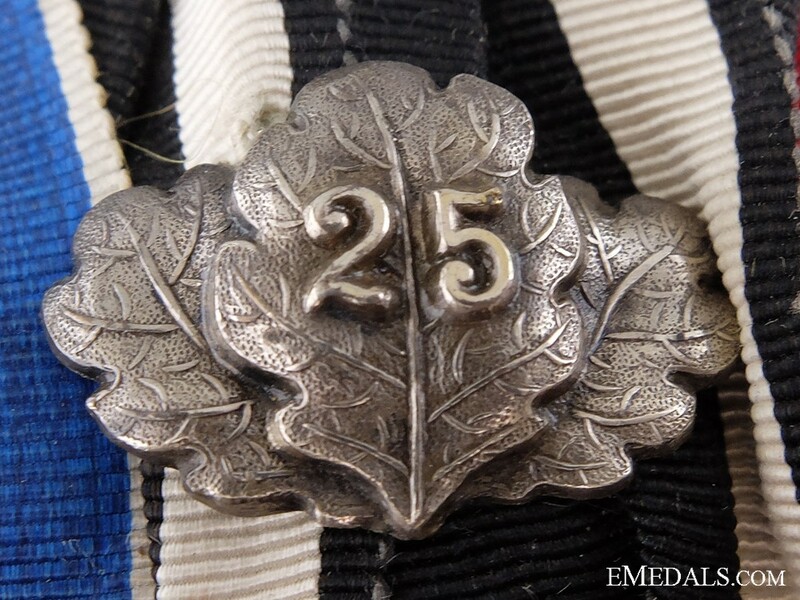 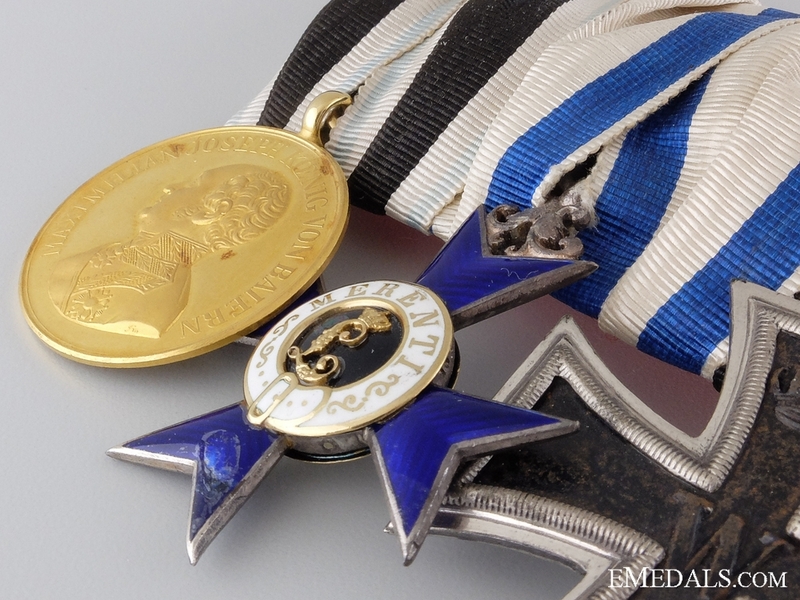 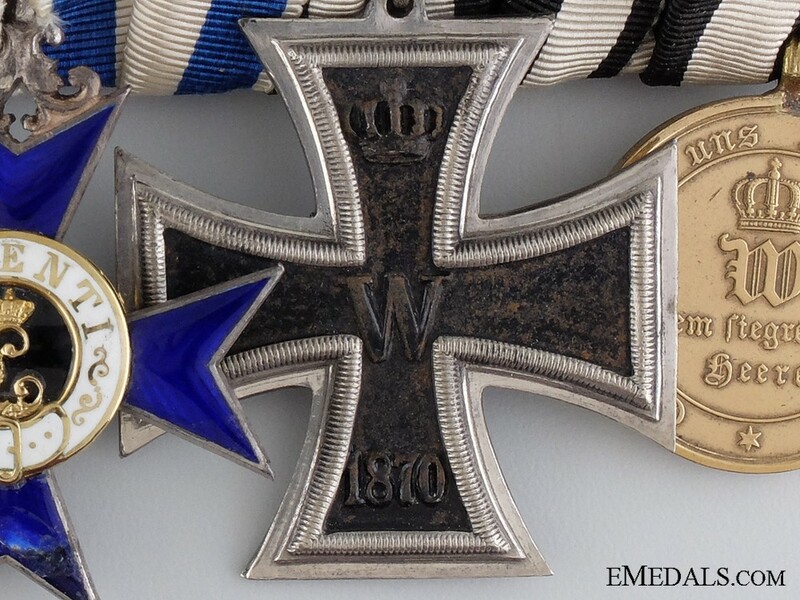 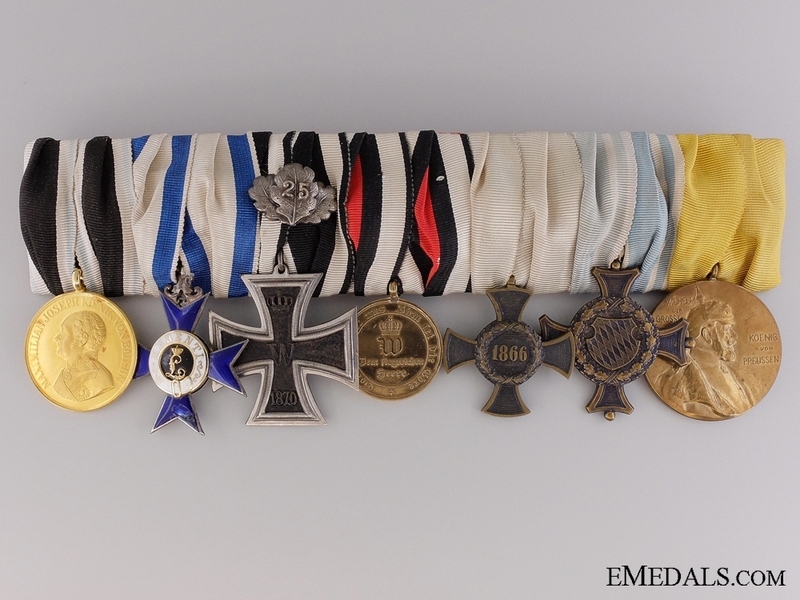 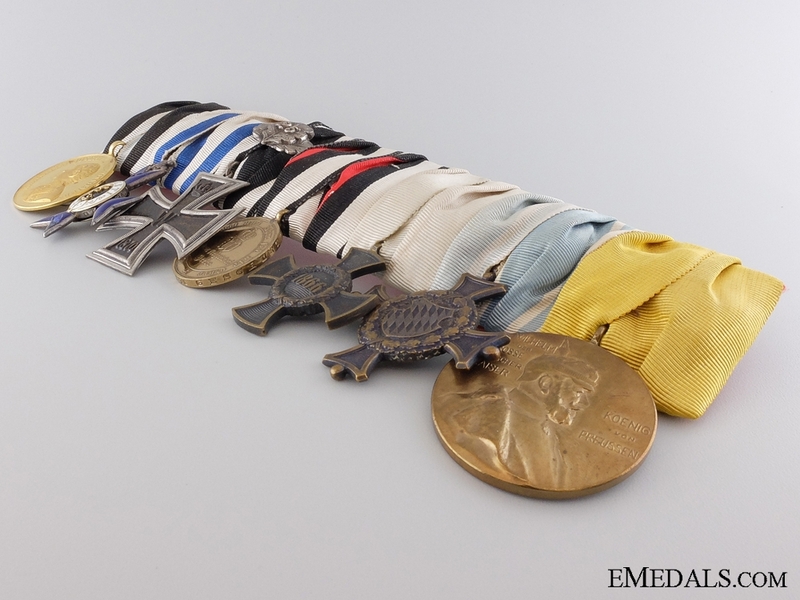 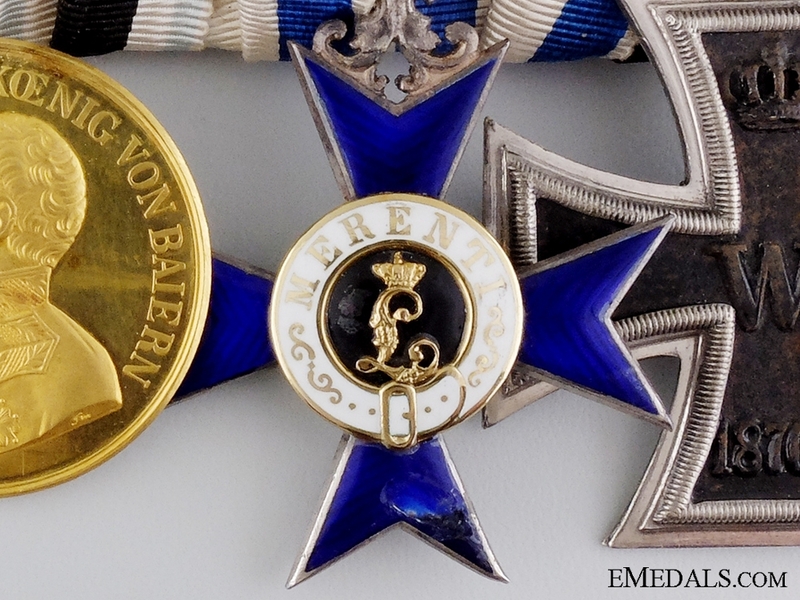 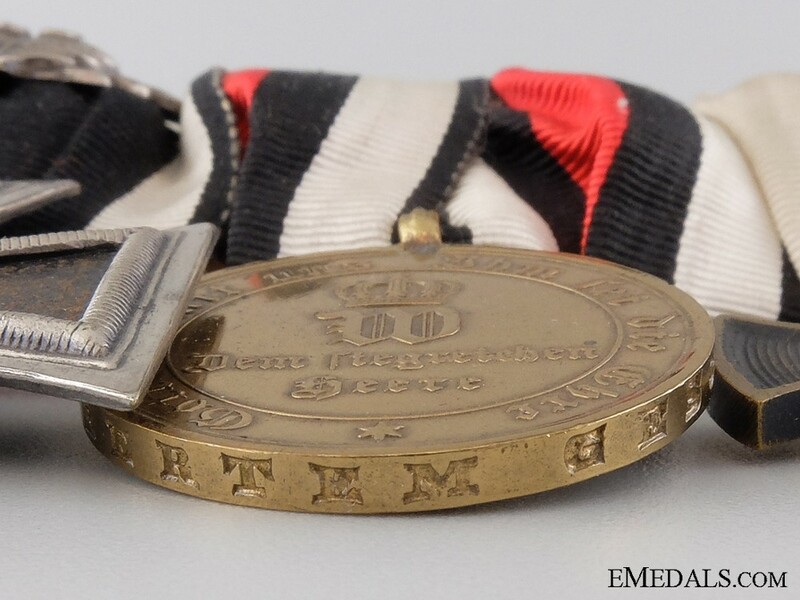 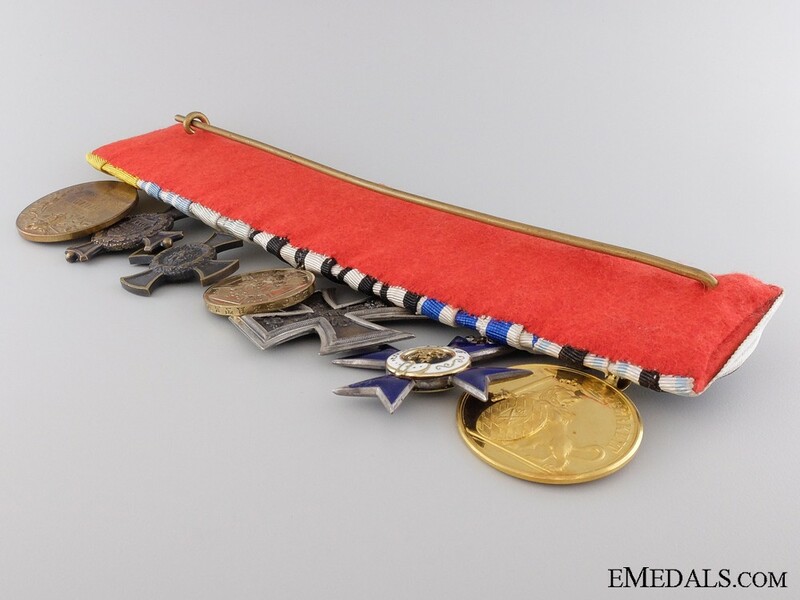 ; Bavaria, Order of Merit, Cross Fourth Class in silver and enamels, center in Gold and enamels, enamel chipping on two arms, fine condition; Prussia, Iron Cross Second Class 1870, iron center and silver frame, with "25" Jubilee Oakleaves, good very fine; Prussia, 1870-71 Campaign medal, bronze; Bavaria, 1866 Campaign Cross; Bavaria, 24 Years Service Cross; Prussia, Centenary Medal; generally very fine or better unless noted otherwise. 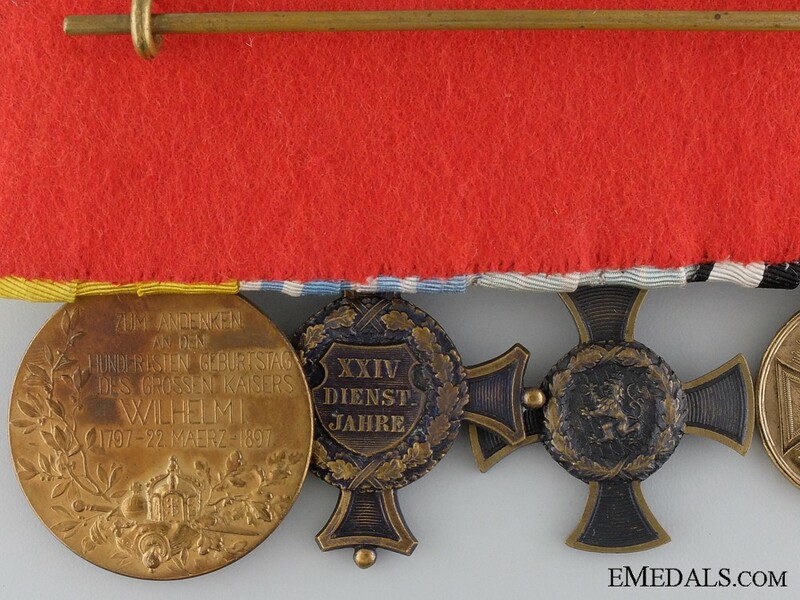 A total of 133 Gold Bavarian Bravery Medals issued for 1870-71 War. 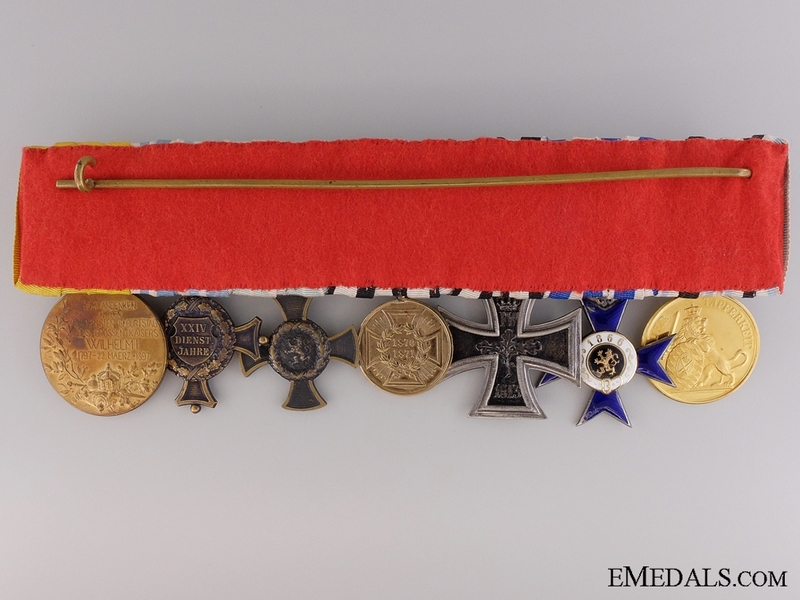 Very attractive medal bar in original state as worn, with scarce combination of awards.